It’s our turn this year...Tony Bennett and my bros from VA are rolling over the war eagle Saturday!!! WE DID IT!!! National Champions 2019!!!! I’m so proud of our boys!!!! Can’t contain my emotion now:-))!! Takin a few dais off to celebrate!!! 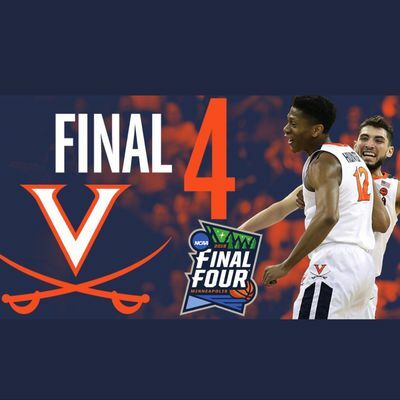 150...let’s go UVA in tha final Four this year...we finally got there and now we’re gonna get it!!!!!!!!!!!!!! Peace y’all! Thanx Kristie...doing great..hope Your doing fine with Bronson and Co.! Thank you 🙏 Uncle Heiko! Thanks for those words...it means a lot to me..
good to see you back. Well, I am still here, lots come and go...coming to think,who was here first Uncle or me, how many years have we been using this app.. about 8 ?? ?man, time flies..